Bounce Hair Company Ltd. - Bounce Hair Company Ltd.
We are the greatest hairstylists in the world! We provide full hair services for men, women, & children. We are color specialists, Bumble and bumble razor cut specialists, wedding and grad style specialists! We provide weekly blow drys, team haircuts (like we do for the Regina Red Soxs! ), and hair extensions upon request. We cut fine hair, curly hair, wild hair, long hair and short hair! You grow it - we cut it! This is one of the fastest growing trends in the beauty world. We have several Bella Lash trained lash artists. Mary is the only Canadian Educator for Bella Lash and is a master lash artist trained in Classic, Volume and hybrid custom designed lash sets. We have several Bella Lash trained lash techs (installers ) as well. We take great pride in the quality of service and products we provide. Book your appointment today! Come in and shop our two exclusive hair styling lines - R&co and EVO. We carry Walton Wood Farm (lotions and potions), Invisibobble, Buck Naked Soap Company, Province Apothecary Skin care and Bella Lash Extensions and aftercare products. Everything you need to look and feel your best or a unique gift for that hard to buy for guy or gal! 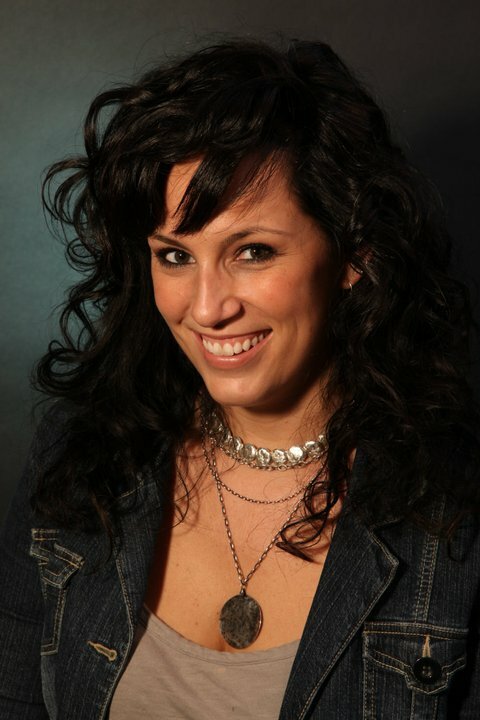 Melissa Wolf is a registered massage therapist. She offers relaxation, deep tissue, bamboo fusion, and aroma therapy massage. Eyelashes extensions are currently the fastest growing part of the beauty industry. The demand of Eyelash Extensions is growing at an incredible rate across the country. At Bounce Hair Co. we offer the BELLA LASH CLASSIC and BELLA LASH VOLUME courses on a monthly basis. Please email : maryfry@bouncehair.ca or call or text 306-209-9070 for more information. Want spectacular nails??? Nail services include Acrylic, Gel Overlay, Gel-Cured Polish, and Manicures. Custom Nail Art! Check out samples on our Facebook and Instagram pages! Stop complaining about your life - there are people out there that are literally allergic to eyelash extensions!!! • Evo – Evo is an Australian based company that focuses on speaking the truth and delivering the most honest products they can manufacture. Their packaging is 100% recyclable and any damaged packaging is donated to homeless shelters. 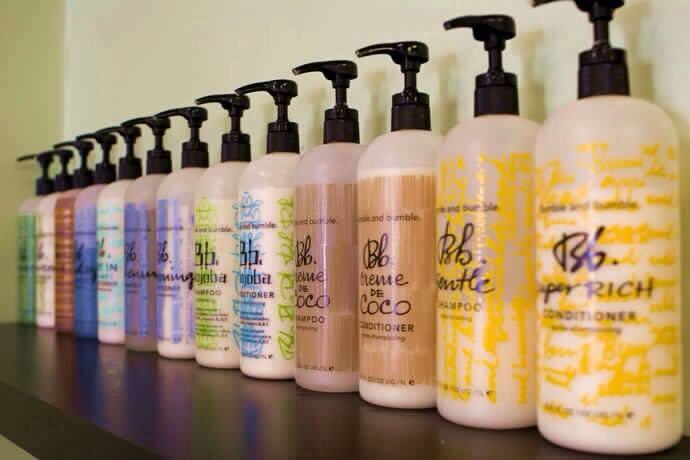 Their products are sulphate, paraben, dea, tea and propylene glycol free. We carry the full range of styling and haircare products as well as Fabuloso conditioners and Fabuloso Pro custom semi-permanent color system. • R&co– R&co is about an experience. All vegetarian, cruelty free, gluten free and color safe. All products are treatment oriented, with the health of hair and scalp always top of mind. You will know by just looking at the bottle or tube what the product is meant to do! A large majority of the containers can also be recycled. Sophisticated fragrances are meant for both men and women. • Redken Color – Redken was founded by Paula Kent, a woman dedicated to the science of hairdressing. Now owned by L’Oreal, Redken is available in 43 countries around the world. We carry three of the permanent color lines and one demi-permanent line; Chromatics Ultra Rich, Color Fusion, Cover Fusion and Shades EQ. Chromatics and Shades EQ are both no ammonia colors. 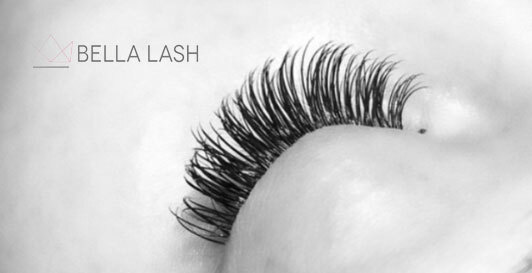 • Bella Lash – Bella Lash is a fairly new company, founded in 2011, that is committed to selling the highest quality of lashes and creating the most innovative products. They work with the fast pace of the beauty industry to keep everyone working efficiently. We use only Bella Lash extensions and do carry some for retail sale as well. 2305 Cornwall St., Regina, SK. Located in our Newly Renovated Historic Location!!! 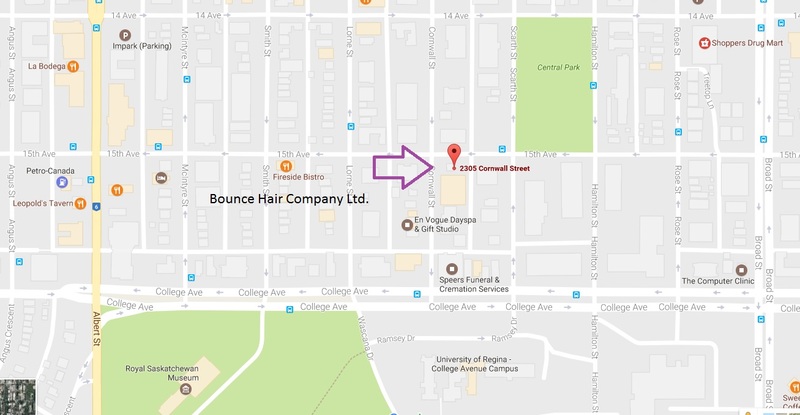 Established in 2011, Bounce Hair Company Ltd. is a Beauty Salon in Regina, Saskatchewan, Canada. There really is something about Mary! Mary started hair styling in 1993 in Winnipeg at Edward Carriere Salon and built her career there for 15 years. During that time she became a network Educator for Bumble and Bumble. Mary trained at the BBU in Manhattan where she learned Razor Cutting, Styling and Cutting Techniques like none other! Mary brought those skills back to her home town and opened Bounce Hair Company Ltd. Mary has become an expert at Lash Extensions, and is currently the only Canadian Educator for Bella Lash - the best in Lash Extensions!!! Mary's team has steadily grown, she mentors all the stylists at Bounce Hair Company to be the best journey-peeps they can be. Mary invites you all to visit and book with her and her staff - we want to take care of you! Green Circle Salon is a recycling program used here at Bounce Hair Co. The mission is to “make the North American salon industry sustainable by 2020”. It works with salons to help keep the planet and the people beautiful. We recycle hair, excess hair color, bleach, peroxide, used foils, metal color tubes, plastic containers and almost everything a stylist would normally have to throw away. Hair, for example, is collected and converted into booms for oil spills. They can be reused as many as seven times. Through Green Circle Salon, we dramatically reduce the amount of garbage we throw away.